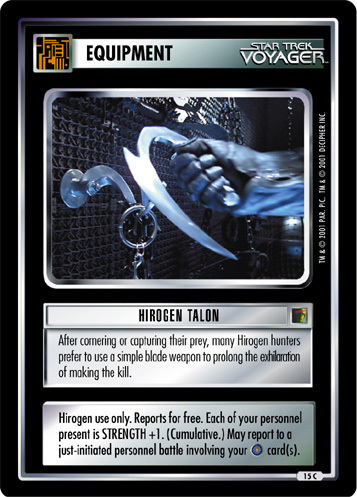 After cornering or capturing their prey, many Hirogen hunters prefer to use a simple blade weapon to prolong the exhilaration of making the kill. 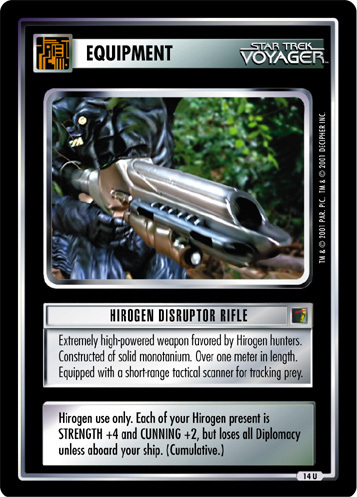 Hirogen use only. Reports for free. Each of your personnel present is STRENGTH +1. (Cumulative.) May report to a just-initiated personnel battle involving your card(s).